Ms. Brodeur is responsible for advanced level industrial hygiene projects. 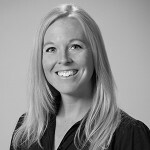 Ms. Brodeur has in-depth experience in all areas of industrial hygiene, including anticipation, recognition, evaluation, prevention, and control of environmental factors arising in the workplace which may cause sickness, impaired health, or significant discomfort among occupants. She regularly performs investigations and recommendations for routine and complex asbestos, mold, bacteria, chemicals, and indoor air quality projects. As a Board Certified Indoor Environmental Consultant she has specialized knowledge in the field of indoor air quality, root cause analysis, and working with concerned employees. Ms. Brodeur is a previous NESHAP Asbestos Compliance Coordinator. Ms. Brodeur was a past Asbestos Compliance Officer she and has an extensive background in asbestos consulting including bulk sampling, and asbestos oversight. Her background in microbiology both in the field and laboratory experience gives her knowledge on sampling procedures, and laboratory interpretation. Ms. Brodeur brings fifteen (15) years of field experience to MC Consultants, Inc.’s Environmental Services Group.